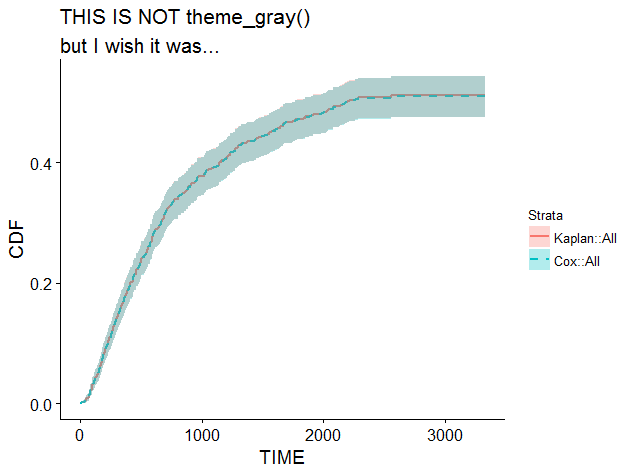 Ability to select theme of ggplot using ggtheme() argument in ggsurvplot() function. 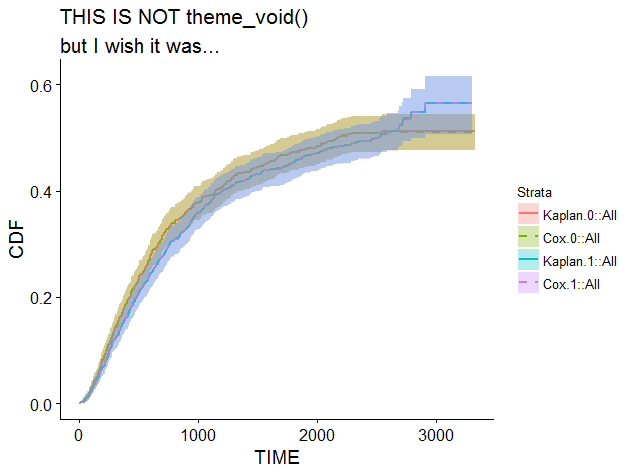 No theme change with input. 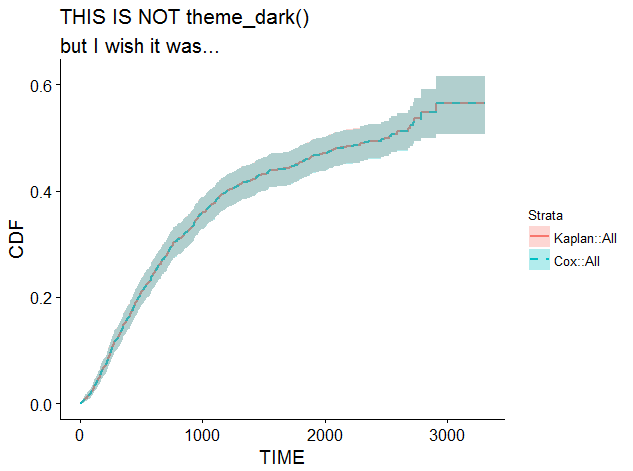 It creates an undesired result of creating cox estimate for all the data (when I would like to see separate estimates).